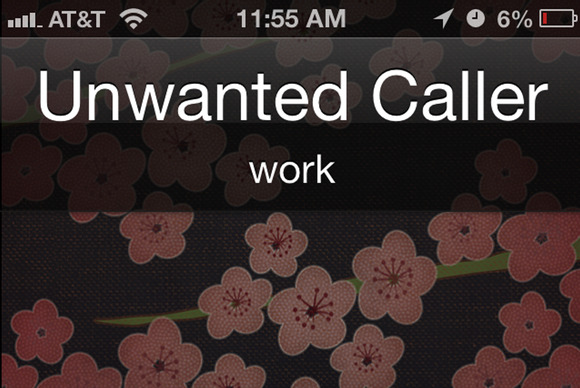 Come iOS 7, you’ll be able to block unwanted callers. But what if you have jerks, salespeople, and Crazy Great-Aunt Rita calling you nonstop now, and iOS 7’s fall release date seems like just too darn long to wait for some semblance of phone peace? There’s a solution. An anonymous Hints reader suggests creating a new contact. The hint provider made a contact called Don’t Answer; you might instead choose Jerky Bonehead or Loser McShutupington—it’s your choice. 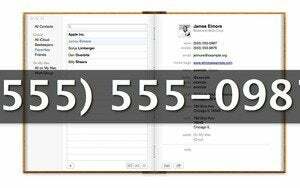 To do so, go into the Contacts app, tap the plus (+) icon at the upper right, and create the new contact without any other details like a phone number. Then, the next time you get a call from one of those annoying folks you don’t want to speak with ever again, add their numbers to your contact. Find the number—you can see it in the Phone apps’ Recents tab—and tap the button at the right. On the screen that appears, tap Add to Existing Contact, and choose your special contact name, and save. Next time a call comes in from the nogoodnik, you’ll see your chosen name and know not to bother answering. Commenters on the original hint offered up a clever bonus: Create a silent ringtone, and assign it to that contact. If you have GarageBand installed on your iOS device, you can create a silent ringtone in mere minutes.